“AEGEE” stands for “Association des États Généraux des Étudiants de l’Europe” – the biggest European students’ network – and we are one of more than 200 antennas spread all over Europe. AEGEE is supported by the EU commission, has an advising role at the European Parliament and the UNO, is a member of the European youth forum and is working on international projects togehter with the UNESCO. “United in diversity!” – We stand for European unity and a Europe with many different faces. Click here if you want to know more about AEGEE in general. Local level: we organize a wide range of events for students and Erasmus students in Heidelberg, such as thematic discussions, trips to other German and European cities, parties and more crazy stuff like survival trainings. If you want to enhance your language skills, you should definitely come along to our Language Café every other Wednesday during the semester. European level: AEGEE is an international students’ network with around 200 antennas all over Europe. We try to spread the idea of a borderless Europe by organising events for AEGEE members from other antennas and by visiting them or iniviting them to Heidelberg. The so called “Summer Universities” are central to our aim: In summer every antenna has the possibility to organize this kind of event and to give it a theme of their choice. Members from every antenna are invited to go there and discuss European issues. Mostly, it’s a great way of making new friends and of spending a few weeks in summer in a cool place in Europe (for very little money 😉 ). Apart from the summer universities there are plenty more European events you can join as a member: Network meetings, anniversaries of other antennas, new year’s events, the Agora (our general assembly) and many, many more. If you are interested in what we do, enjoy meeting new people and travelling around Europe, you should definitely consider becoming a member of AEGEE. There are several events at the beginning of the semester where we introduce ourselves and our organisation. You will get basic information about how AEGEE is structured, what we do and – most importantly – what you will be able to do if you join us. Take a look at the event calendar to see when there’s an info event coming up. If you read this during the middle of the semester, but want to join nonetheless, feel free to come to one of our weekly meetings to get to know us! We meet every Tuesday at 8pm on the upper floor of the Marstall Café*, where we discuss and organise our events. 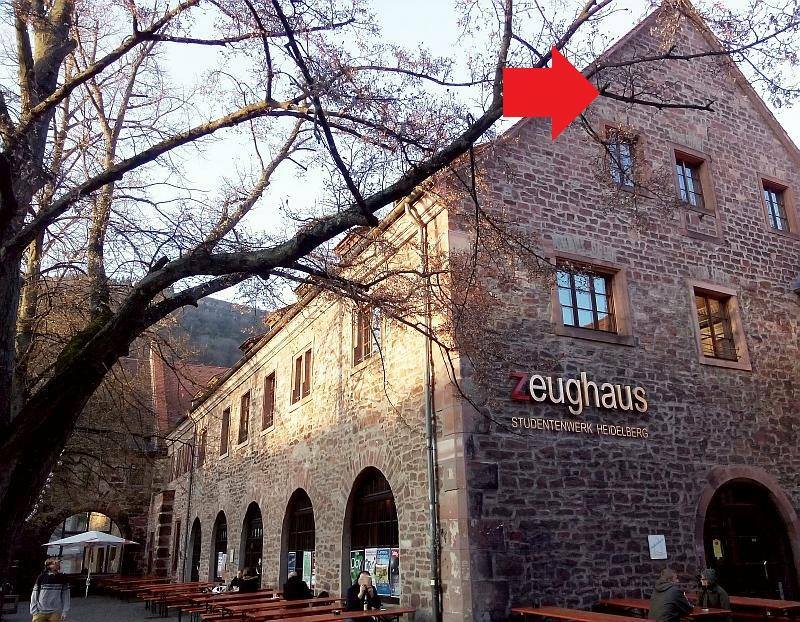 *During the semester break we’re meeting at the StuRa: Albert-Ueberle-Straße 3-5, 69120 Heidelberg. If you joined one of our events or meetings and decided that you want to be an active member of AEGEE, all you have to do is fill in our “Mitgliedschaftsantrag” and pay 20€ once a year. From now on, you can attend every European event in AEGEE such as Summer universities and members meetings. Joining an organisation can get confusing when you try to understand its structures and rules. To help you get settled in you will get a “Mentor” as soon as you join AEGEE. This person is a member of your choice who will not only explain how the network works, but will also be a friend you can ask any kind of question you have and who will support you throughout the semester. AEGEE Heidelberg currently has 49 members who organise the wide range of activities filling our event calendar. 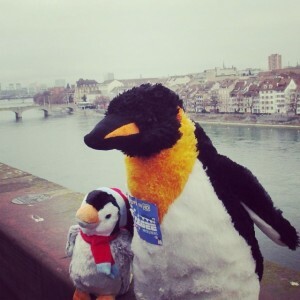 Friedrich the penguin is not only the sexiest penguin alive, he is also the beloved mascot of AEGEE Heidelberg. He joins all of our events and decided to post a few impressions of his exciting life on facebook and instagram. So check out these links if you want to get an inside look on what we’re doing. Since Friedrich can’t be everywhere at the same time he has a little companion called Tipsy who -even at his young age – does a very good job at substituting his older friend. And remember: Wherever you see a particularly cool penguin, AEGEE Heidelberg won’t be far away!